DALLAS – April 1, 2016 – Mary Kay Inc. and The Junior League of Dallas (JLD) are proud to announce the recipients and expansion of the third annual Women LEAD (Learn. Excel. Achieve. Dream.) Scholarship Program. 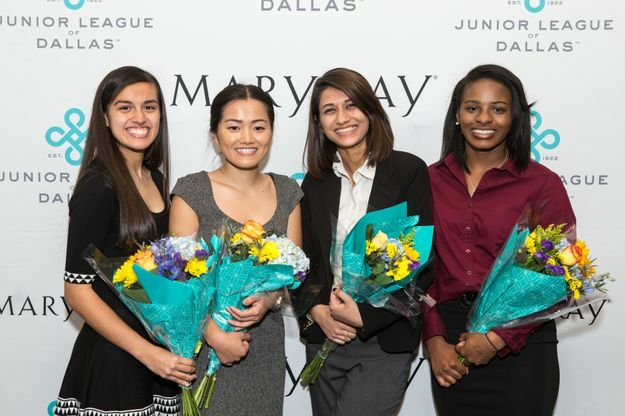 On March 31, 2016 at the JLD headquarters, students and community members gathered to see the awarding of $25,000 in scholarships to four college-bound female students to aid in their pursuit of a higher education. First place winner Gianni Alexander, a senior at South Oak Cliff High School, will receive a one-time $10,000 scholarship. Homeless as a child, Alexander experienced poverty from an early age and stated in her speech that “education is freedom.” Her community service has focused on inspiring today’s youth to be tomorrow’s leaders and has plans to pursue a degree in advertising or marketing. Second place winner Renee Moreno, third place winner Yoga Karki and fourth place winner Anjana Ghaley will each receive a one-time $5,000 scholarship. Moreno, a senior at Thomas Jefferson High School, is committed to providing service to others and plans to pursue a career that will allow her to give back. With dreams of becoming a doctor, Karki, a senior at Conrad High School, credits community service with helping young people stay on the right path. Ghaley, also a senior at Conrad High School, grew up in a camp in Nepal and has a passion to give back to the community by pursuing a career in nursing in hopes of making a difference in other’s lives. In its first two years, the Women LEAD Scholarship Program was available exclusively to students at Emmett J. Conrad High School. In 2016, the addition of Thomas Jefferson and South Oak Cliff High Schools provides more students an opportunity to participate in the program supporting the pursuit of higher education. Established in 2013, the scholarship program is inspired by legendary entrepreneur and company founder Mary Kay Ash whose drive and determination led the way for millions of women worldwide to pursue their dreams. A panel of judges including Mary Kay executives, Dallas Deputy Chief of Police Catrina Shead, Dallas ISD Chief of Staff Dr. Cynthia Wilson and JLD President Meredith Mosley, selected the recipients of the 2016 Women LEAD Scholarship Program based on their scholarship application, community involvement, academic record and speech presentation. The Junior League of Dallas is an organization of women committed to promoting voluntarism, developing the potential of women and improving the community through the effective action and leadership of trained volunteers. Founded in 1922, the Junior League of Dallas trains members for effective participation in the community and is dedicated to the belief that volunteer service is an essential part of responsible citizenship. 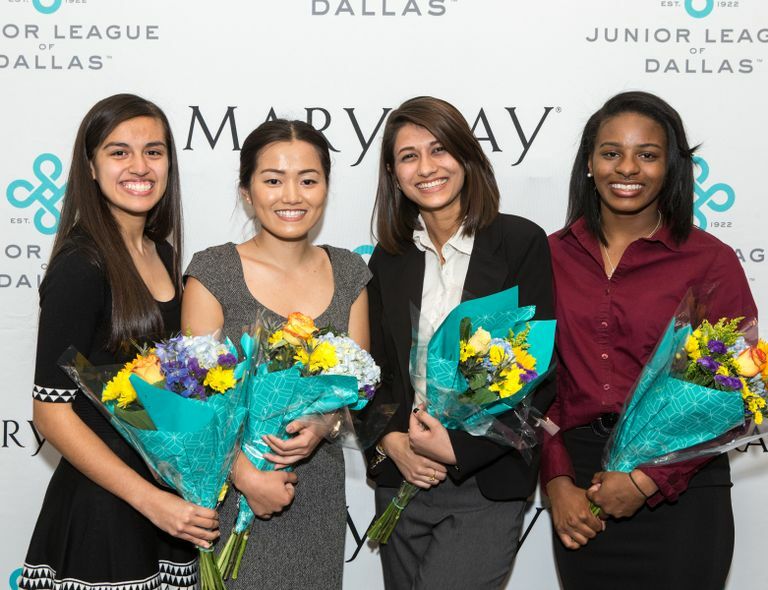 Whether tutoring students, rocking infants, building homes or serving on non-profit boards or coalitions, the 5,000 Junior League members provide more than 130,000 hours of community service each year, while making sure that each donated dollar works it hardest to help those in Dallas who need it most. Active members range in age from 22 to 49 and 74 percent are employed outside of the home. For more information, please visit www.jld.net.